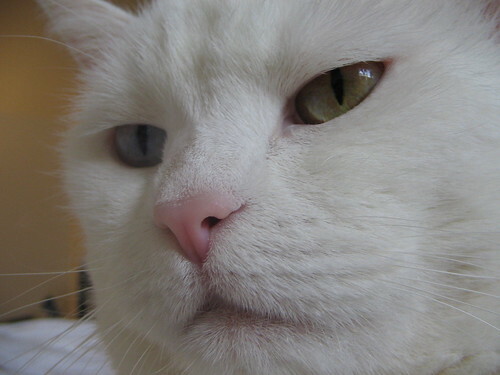 Pandora is what Persian breeders call an “odd-eyed white,” with one blue eye and one green eye. 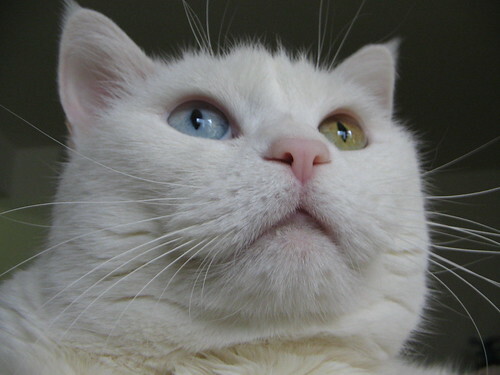 One result of this genetic quirk is that odd-eyed whites have super-sensitive hearing. 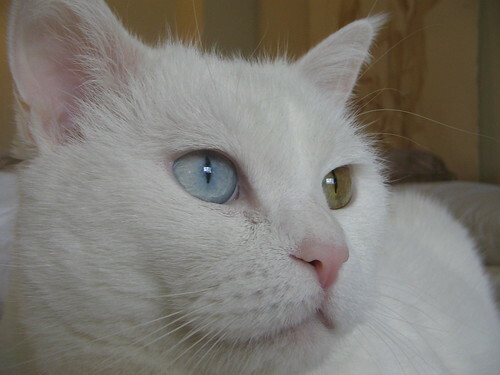 (As opposed to blue-eyed white Persians, which tend to be deaf.) Some days she can hear me coming out of the elevator down the hall, and is meowing before I’ve even pulled out my keys. I copied the pic of your cat. It’s perfectly okay, and thank you for copying it to your own image host instead of directly linking to it like other people sometimes do. that’s interesting trivia, pau. never knew the eyes had something to do with their ears. hmm… i miss having cats. grsh.